Ivy Doomkitty inspects a cosplay mystery. 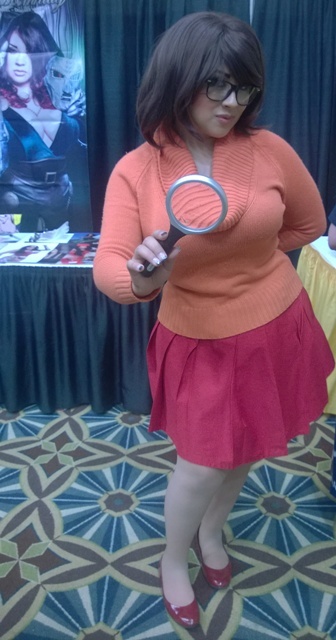 At the 2015 Lexington Comic & Toy Convention, we spoke with Ivy Doomkitty about her cosplay creations and the Body Confidence and Positivity in Cosplay panel she hosts at different conventions. Special thanks to Kandice Stidham for recording this interview. Make sure to check out Ivy’s social media to find out which events she’ll be attending next.